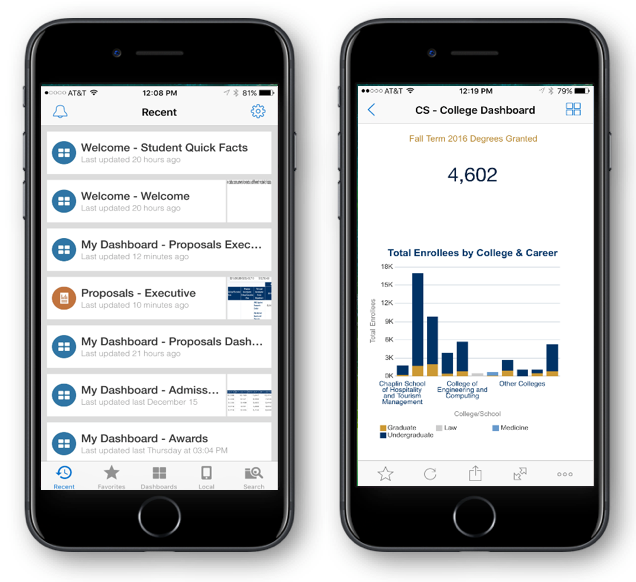 Download the Oracle mobile BI app from Apple’s App Store or Google Play. *Users must be on VPN (through CISCO VPN Client) or be on-campus to use BI Mobile. CISCO VPN Client can also be downloaded from the Apple App Store or Google Play. *For more information on how to obtain VPN, please visit vpn.fiu.edu. If you have any issues installing or configuring the app on your phone or tablet, please email us at psbi@fiu.edu.